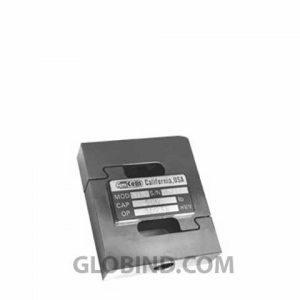 AMCells Mics Load Cell CSL 50 SE kg make with high quality steel, also has Meet OIML and HB44 Class III Standards and a zero balance. 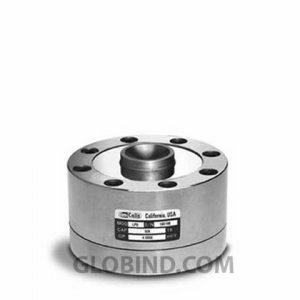 AMCells Mics Load Cell CSL 75 kg make with high quality steel, also has Meet OIML and HB44 Class III Standards and a zero balance. 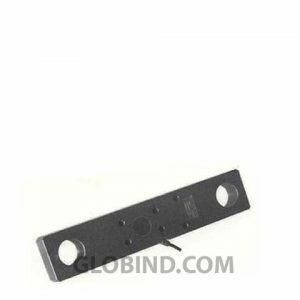 AMCells Mics Load Cell CTS 10 kg (Wire Rope Clamp on Sensor) for Use with Any Size Wire Rope where the Measurement of Tension on the Wire is Required. 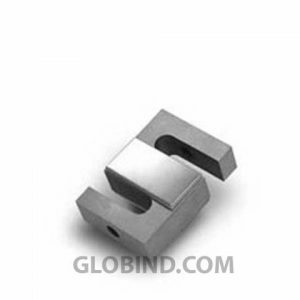 AMCells Mics Load Cell CTS 25 kg (Wire Rope Clamp on Sensor) for Use with Any Size Wire Rope where the Measurement of Tension on the Wire is Required. 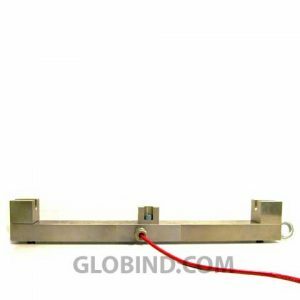 AMCells Mics Load Cell CTS 50 kg (Wire Rope Clamp on Sensor) for Use with Any Size Wire Rope where the Measurement of Tension on the Wire is Required. AMCells S-Type Load Cell STA 150 kg for applications such as weigh scale, hopper, tank level, truck scale, crane, tension, and force measurement. AMCells S-Type Load Cell STA 200 kg for applications such as weigh scale, hopper, tank level, truck scale, crane, tension, and force measurement. AMCells S-Type Load Cell STA 250 kg for applications such as weigh scale, hopper, tank level, truck scale, crane, tension, and force measurement. AMCells S-Type Load Cell STA 50 kg for applications such as weigh scale, hopper, tank level, truck scale, crane, tension, and force measurement. AMCells S-Type Load Cell STB 100 kg can be used to measure compression and tension and are easily mounted on top and bottom with metric threaded holes. AMCells S-Type Load Cell STB 30 kg can be used to measure compression and tension and are easily mounted on top and bottom with metric threaded holes. AMCells S-Type Load Cell STB 50 kg can be used to measure compression and tension and are easily mounted on top and bottom with metric threaded holes. Amcells S-Type Load Cell STL 1 k for applications such as weigh scale, hopper, tank level, truck scale, crane, tension, and force measurement. Amcells S-Type Load Cell STL 1,5 k for applications such as weigh scale, hopper, tank level, truck scale, crane, tension, and force measurement. Amcells S-Type Load Cell STL 10 k for applications such as weigh scale, hopper, tank level, truck scale, crane, tension, and force measurement. Amcells S-Type Load Cell STL 100 lb for applications such as weigh scale, hopper, tank level, truck scale, crane, tension, and force measurement. Amcells S-Type Load Cell STL 15 k for applications such as weigh scale, hopper, tank level, truck scale, crane, tension, and force measurement. Amcells S-Type Load Cell STL 150 lb for applications such as weigh scale, hopper, tank level, truck scale, crane, tension, and force measurement. Amcells S-Type Load Cell STL 2 k for applications such as weigh scale, hopper, tank level, truck scale, crane, tension, and force measurement. Amcells S-Type Load Cell STL 2,5 k for applications such as weigh scale, hopper, tank level, truck scale, crane, tension, and force measurement. Amcells S-Type Load Cell STL 20 k for applications such as weigh scale, hopper, tank level, truck scale, crane, tension, and force measurement. Amcells S-Type Load Cell STL 200 lb for applications such as weigh scale, hopper, tank level, truck scale, crane, tension, and force measurement. Amcells S-Type Load Cell STL 25 lb for applications such as weigh scale, hopper, tank level, truck scale, crane, tension, and force measurement. Amcells S-Type Load Cell STL 250 lb for applications such as weigh scale, hopper, tank level, truck scale, crane, tension, and force measurement. Amcells S-Type Load Cell STL 3 k for applications such as weigh scale, hopper, tank level, truck scale, crane, tension, and force measurement. Amcells S-Type Load Cell STL 40 k for applications such as weigh scale, hopper, tank level, truck scale, crane, tension, and force measurement. Amcells S-Type Load Cell STL 5 k for applications such as weigh scale, hopper, tank level, truck scale, crane, tension, and force measurement. Amcells S-Type Load Cell STL 50 lb for applications such as weigh scale, hopper, tank level, truck scale, crane, tension, and force measurement. Amcells S-Type Load Cell STL 500 lb for applications such as weigh scale, hopper, tank level, truck scale, crane, tension, and force measurement. Amcells S-Type Load Cell STL 750 lb for applications such as weigh scale, hopper, tank level, truck scale, crane, tension, and force measurement. AMCells S-Type Load Cell STLX 1 k for applications such as weigh scale, hopper, tank level, truck scale, crane, tension, and force measurement.